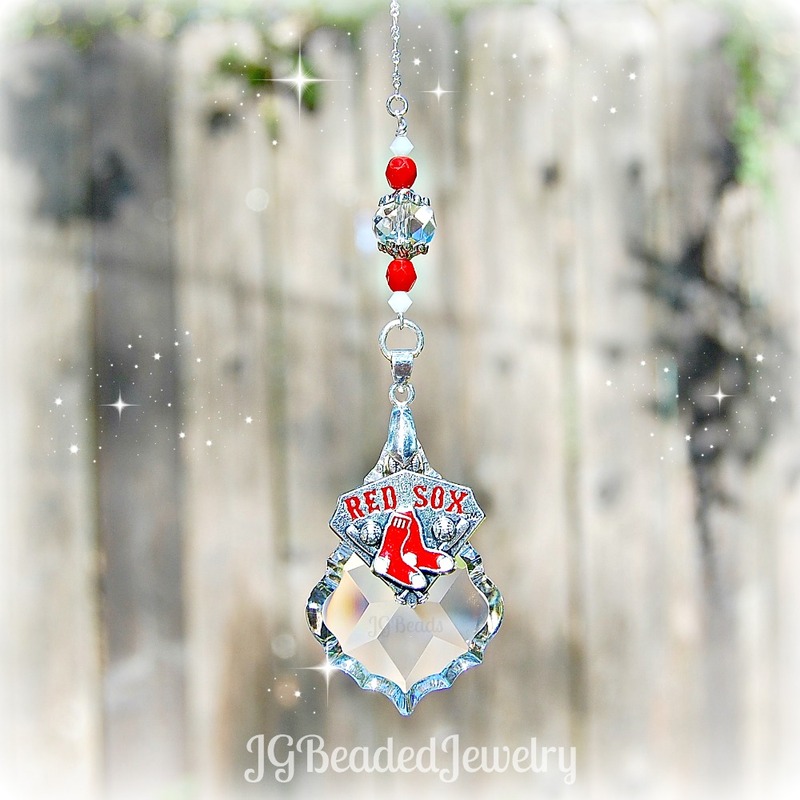 This Boston Red Sox decoration can be hung on the rearview mirror or in a window at home, work or wherever you choose! 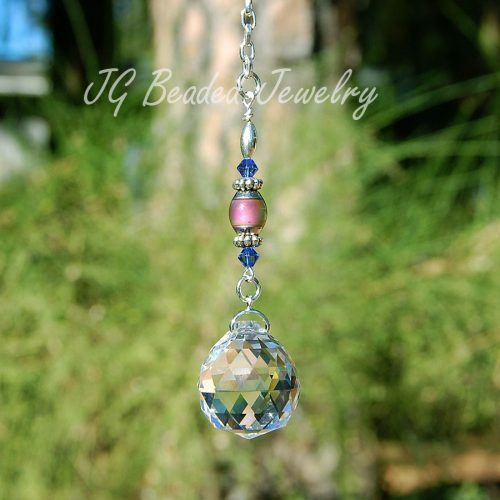 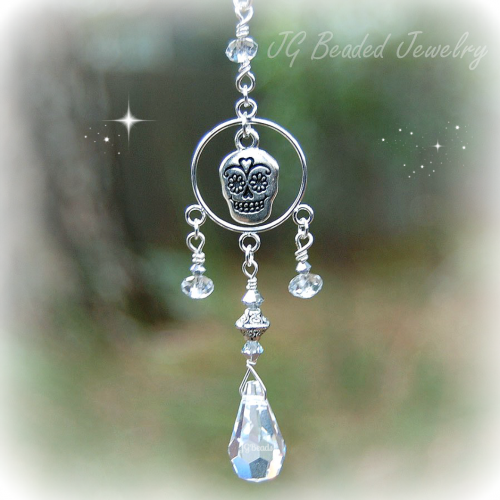 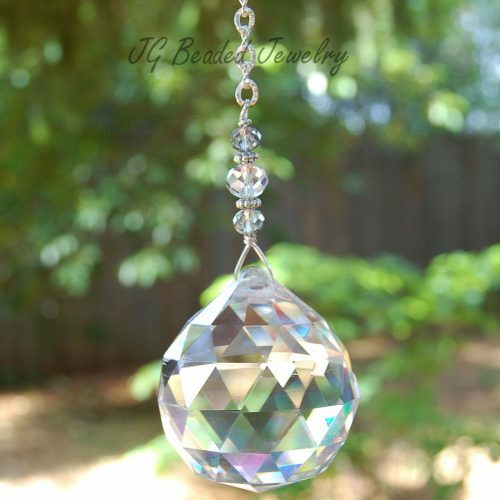 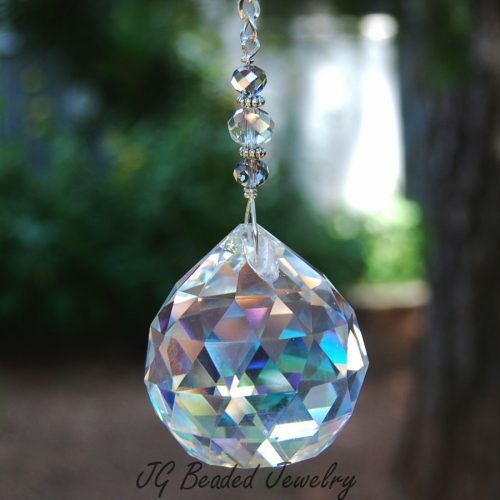 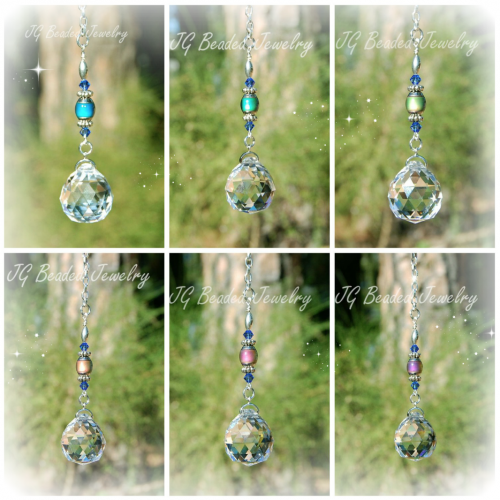 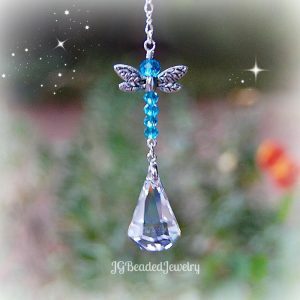 It is unique and handcrafted with love and care using a two inch prism crystal, a licensed MLB Boston Red Sox charm Swarovski crystals and fancy silver beads. 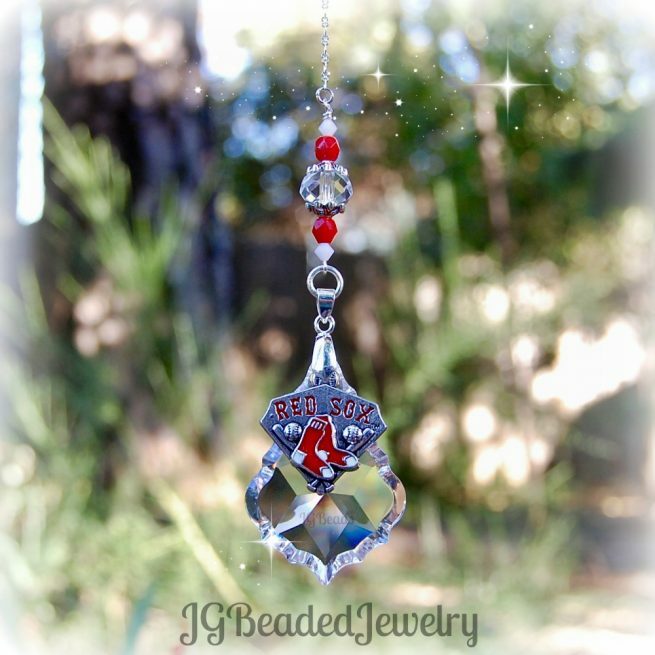 Be proud of your team and show your spirit by displaying this Red Sox decoration in a location where it will catch the sun and throw off rainbows! The length of the Boston Red Sox decoration is approximately 4.25 inches and comes on your choice of a silver chain with clasp (for ease of hanging on the rearview) or a 6 inch chain with ring to hang from a hook as home decor.